Singapore is famous for spicy, savoury foods like chilli crab and laksa, but what’s for dessert? 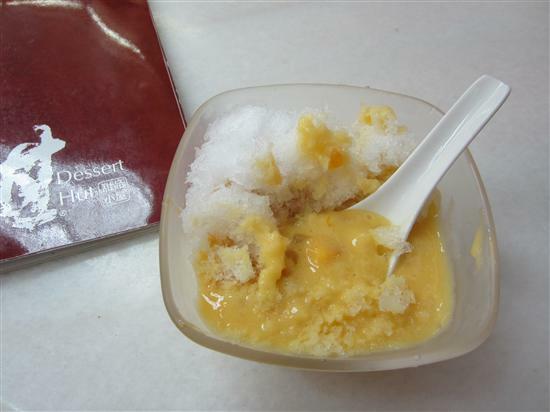 To satisfy your sweet tooth, head to Dessert Hut where you can sample Singaporean concoctions like mango sago and peanut soup at bargain prices. The desserts definitely outshine the setting. 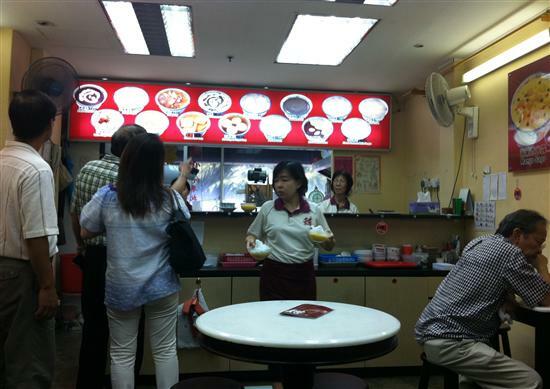 Dessert Hut is located in Chinatown in the People’s Park Complex, one of Singapore’s less glamorous shopping centres. There isn’t any ambiance to speak of – round tables, wooden stools, bare walls and a few whirring fans – but the desserts far outshine the setting. Given the simple set-up it’s surprising that Dessert Hut even has a menu, but it’s necessary to contain their long list of dessert items. Most of the offerings are traditional Chinese desserts with a soupy consistency and served in a bowl. Unlike Western desserts, many Chinese desserts are actually considered to be healthy – don’t expect to find any chocolate here! Sweet mango and cool shaved ice. The menu is divided into two broad categories: hot desserts and cold desserts. Hot Chinese desserts are perhaps an acquired taste and may contain mushrooms, yam and other ingredients you would never expect to find in a dessert. If you are curious to try one, go with the almond cream (a mildly sweet paste made from ground almonds) or the ah boling peanut soup (balls made from rice flour and peanut paste in a sweet ginger broth). Even if you order a hot dessert and don’t like it, you may well be able to afford to order something else, since nothing on the menu costs more than S$3.50. Made with yummy tropical fruits, the cold desserts have more of a mass appeal. You can’t go wrong with the mango sago (S$2.80), a refreshing bowl of shaved ice, fresh mango and chewy sago pieces (similar to the tapioca pearls at the bottom of a cup of bubble tea). This is our favourite item at Dessert Hut and, based on our observation that every table in the restaurant ordered a bowl, probably their best seller. If you are looking for something more familiar you can get a plain old bowl of vanilla ice cream – with either fruit salad or sweetened black sticky rice. Dessert Hut at People’s Park. Thanks to their cheap and guilt-free treats, Dessert Hut has a loyal following, including everyone from stressed-out office workers to the retirees who hang out in Chinatown playing chess. 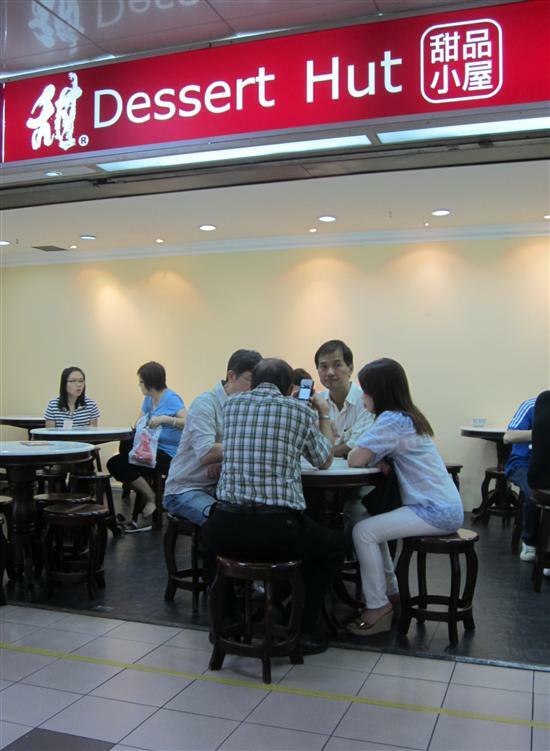 This popularity means that Dessert Hut has opened additional branches and you can also find it in The Arcade (near Raffles Place MRT), Tanjong Pagar Plaza and Old Airport Road Hawker Centre. You can find the full list of locations on the Dessert Hut website.